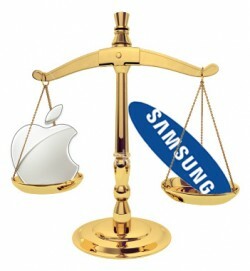 Apple asked a jury on Tuesday for US$380 million in damages from Samsung in a damages retrial. This figure is less than the $450 million Apple was originally awarded and then thrown out by Judge Lucy Koh—hence the retrial—but it is a tad more than the $53 million that Samsung says it should pay. The retrial is focused solely on how much Samsung owes for willfully infringing on several Apple patents—the company's guilt is not being retried, only how much Samsung has to pay up for being guilty. Apple was awarded another $600 million as part of that same trial, and that award remains in place. That means if Apple gets what it is now asking for, Samsung would end up paying some $980 million (pending appeals). If Samsung prevails, it will be some $653 million. According to CNet, in opening arguments in front of the jury, Apple argued that Samsung took sales away from Apple because of infringing features, and that had Samsung not infringed, those sales would have gone to Apple instead. As was the case with the original trial, much of Apple's evidence takes the form of Samsung documents. For instance, in the original trial, Apple pointed to internal Samsung communications lamenting poor Samsung Android smartphone sales that said the company's devices must look and work more like Apple's iPhone if they wanted to change that. In his opening statements in Tuesday's retrial, Apple attorney Harold McElhinny pointed to internal Samsung documents as, "conclusive evidence Apple lost sales because of Samsung." This is important, because if Apple can prove it lost sales to the jury, Apple will be entitled to damages for those lost sales. Apple's $380 figure is based on $114 million for Apple's lost profits, $231 million as compensation for Samsung profits generated by infringement, and a $35 million patent royalty award. Samsung attorney Bill Price was having none of it, however; he argued that Apple didn't lose any sales because Samsung's customers bought Samsung smartphone not for their infringing features, but for their differences from iPhone. Therefore, according to him, Apple is entitled to no damages for lost profits. For profits that Samsung made, Mr. Price said the company should pay some $52.7 million, and that a reasonable royalty award would be closer to $28,452. This from the company that said it should be paid 2.5 percent of the retail price of every iPhone for use of Samsung's standards-essential patents. But to be fair, this is the way that damages trials work. Plaintiffs ask for the moon, while defendants scoff and say that the plaintiff is entitled to a molehill, if that. Awards then usually fall somewhere in the middle, but every case is different. The jury is comprised of six women and two men.